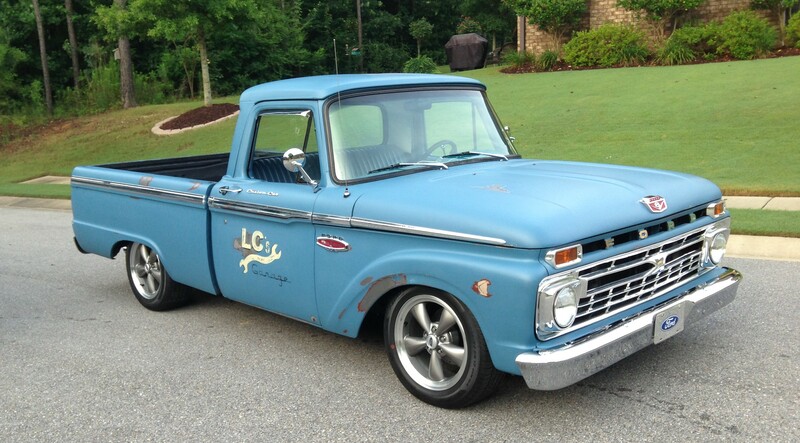 The F-100 is an American classic with more and more people falling in love with them on a daily basis. It's distinct shape, look and sound is something many of us know very well. When you think of a classic truck this is definitely one of the trucks that comes to mind. 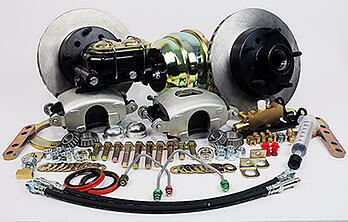 Our F-100 disc brake conversion kits are something we take great pride in. 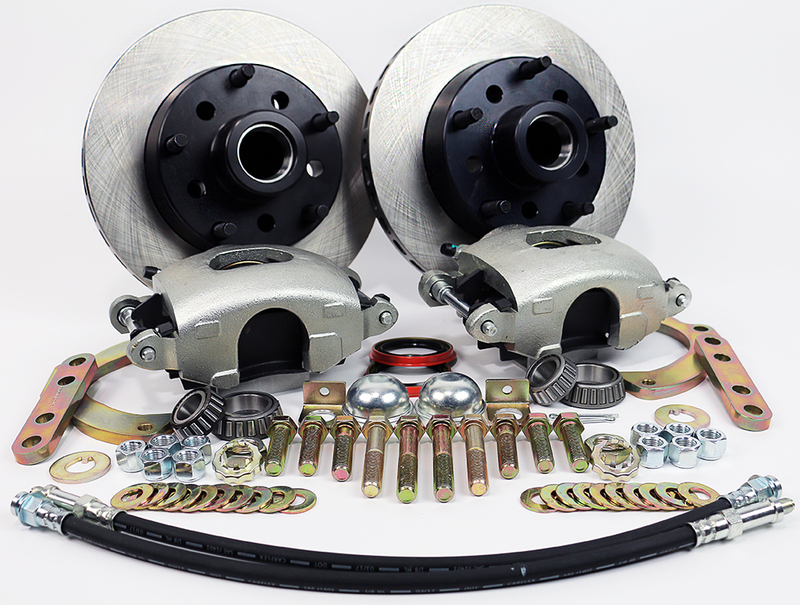 It doesn’t matter if you have a 1965, a 1972 or anything in between, we have a disc brake conversion kit that will fit your need. Our most popular option that we have is the Legend Series 2.0 Front Disc Brake Conversion and the Legend Series Rear Disc Brake Conversion. 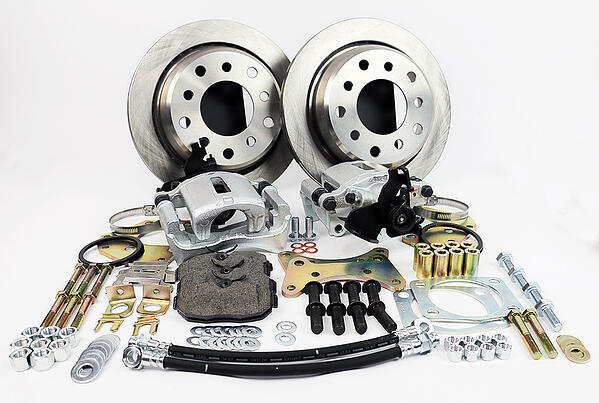 Starting at $1,289.00 for the front and $599.00 for the rear, the Legend Series is a complete brake system that will convert your truck from drum to disc using simple hand tools and can be done on a weekend. Our Legend Series system do not compromise braking performance or quality but does keep in mind a customer’s budget and gets the most out of those dollars. 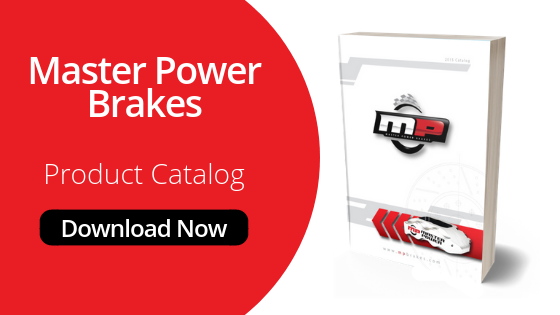 So what makes up a disc brake conversion kit for an F-100 and why should you choose Master Power Brakes? There are several ways to look at a conversion kit. Our thought is to look at what the system is supposed to be doing first followed by the components used to make this happen. 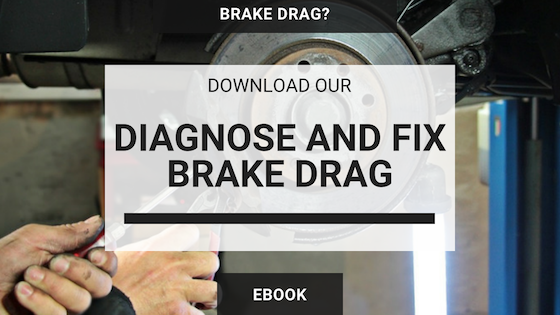 As we all know, when the brakes are applied, movement of the vehicle and therefore the rotation of the drum or rotor is converted to heat through. This happens when the pedal is pressed and the friction material comes in contact with the drum or rotor. Therefore, in a conversion from drum to disc, the rotor is one of the most important elements within the brake system and where we put our initial thought. On our front F-100 kits, we use as a thick as rotor as the caliper will allow which is 1" in this instance. The thicker rotor allows for larger center veins, which are directional on these rotors, to move more air through the rotor and provide additional cooling along with more material construction to get more heat out of the rotor under braking conditions. The 2-piece rotor allows for proper placement of the rotor on the suspension while not sacrificing the factory track width. If it is desired for additional stopping power is desired or some prettier looking rotors suit you, we offer the the system with slotted, drilled and zinc washed rotors. While we are mentioning the calipers on the front, this allows us to discuss one of the other crucial components in the system. It is a single piston caliper and utilizes a steel piston within a stainless steel sleeve and an attractive zinc finish to prevent corrosion. The large single piston design provides more than enough clamping force to bring your F-100 to an effortless stop. are a plated steel tubing. Attaching the caliper is the next step in discussing the components. For mounting brackets, we are utilizing a pair of hefty 3/8" thick laser cut and anodized steel brackets. These brackets are what makes our kit stand out from others. 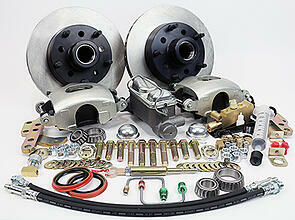 Many of the F-100 systems available require a swap from the drum brake spindle to a later disc brake spindle. We have put the effort into designing a system that bolts directly to your stock drum spindle that will save hours of time and many busted knuckles. All of the hardware included in the system is the best available in Grade 8 hardware. After that are the other essential items like wheel bearings, seals and dust caps. As with almost all of our other applications, the F-100 systems are available as just the components at the front wheels or as a complete front disc brake system configured as either Manual or Power. The complete Manual system is comprised of everything at the front wheels plus the addition of an OE style master cylinder with a 1” bore, the Combination Valve, hardlines from the master cylinder to the combination valve and an Adjustable Push Rod. 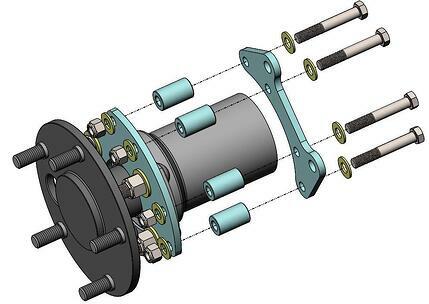 If a Power system is desired, the system will include the power brake booster with a 1-1/8" bore master cylinder. This will include all of the necessary mounting brackets and other accessories needed to install it in the vehicle. In addition, you will also receive the proper master cylinder, the combination valve and hardlines from the master cylinder to the combination valve. 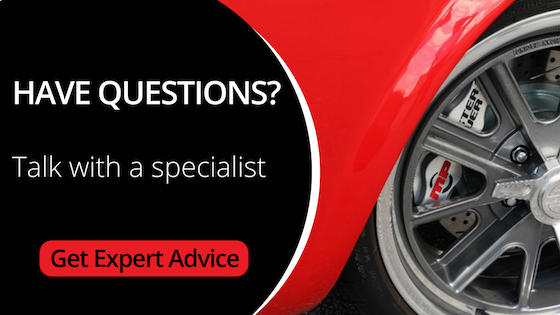 If you interested in doing a complete 4-wheel disc brake conversion, we have you covered on that avenue as well. Just like the front systems, the rear started with the exact same thoughts of the rotor. For the rear, we use an 11.600" rotor. This will fit within the stock 15" wheels in most instances and also allows enough room in the center hat to make the 5 x 5-1/2" bolt pattern possible. 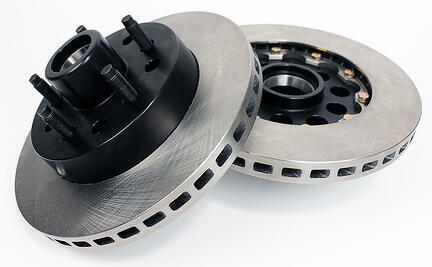 The rotors are a vented rotor just like the front to provide proper cooling when hard on the brakes. 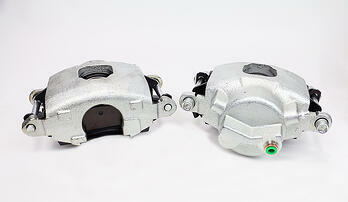 For the rear calipers, our system includes a modern single piston caliper with the park brake built into the caliper. The modern design of the caliper does away with the headaches of previous designs that required the constant use of the park brake to keep the adjustment correct. With this design, once the initial adjustment has been made, you don't have to worry about it. Simply drive and enjoy. For attaching the caliper to the rear axle housing are a series of laser cut steel brackets that allow the system to be installed with minimal modifications. Included are all of the necessary bushings along with Grade 8 fasteners and hardware. A disc brake conversion is one of the most important upgrades that can be made to your F-100. With our highways as busy as ever, you need to be prepared for whatever might come your way. 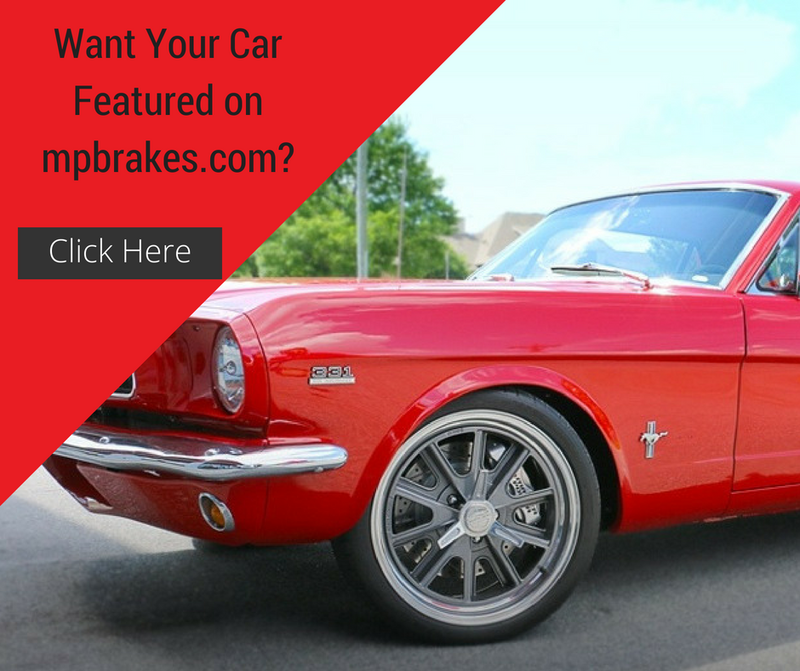 If you have any questions about our F-100 brake systems or need a little further information before making your decision, don't hesitate to give us a call at the number below or send us an email to info@mpbrakes.com. We are here to help! !